Mud River Nylon Dummy / Wader Bag -- Bottomland Camo. $42.95. 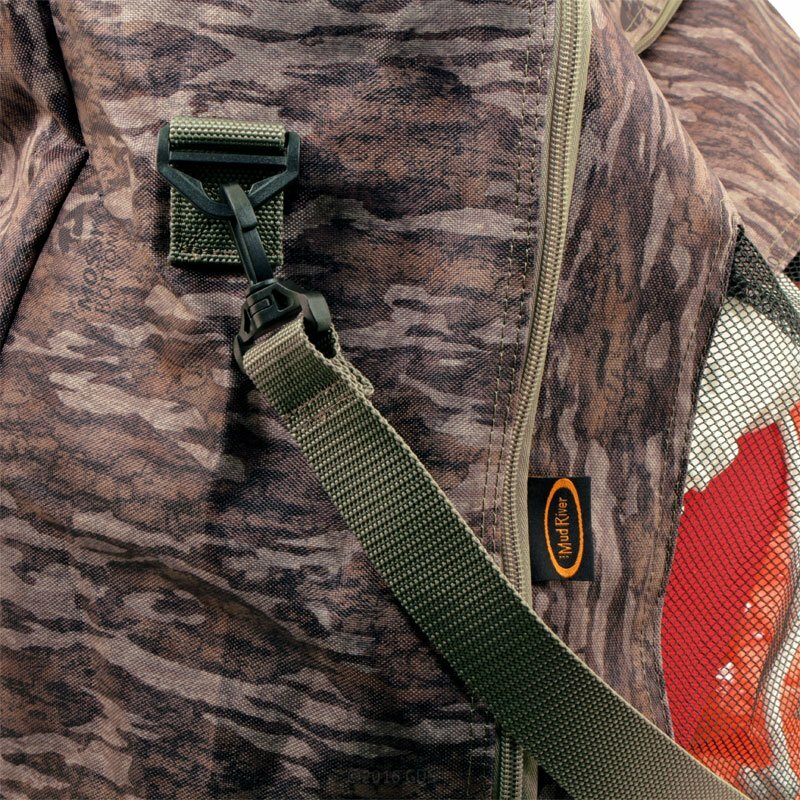 "I use these bags primarily for carrying bumpers and dokens." I use these bags primarily for carrying bumpers and dokens. "looks like it will be great." Gave as a gift, so don't know yet, but looks like it will be great. Great product! Heavy fabric, sturdy zipper, carrying handle, and adjustable shoulder strap make this bag a winner. 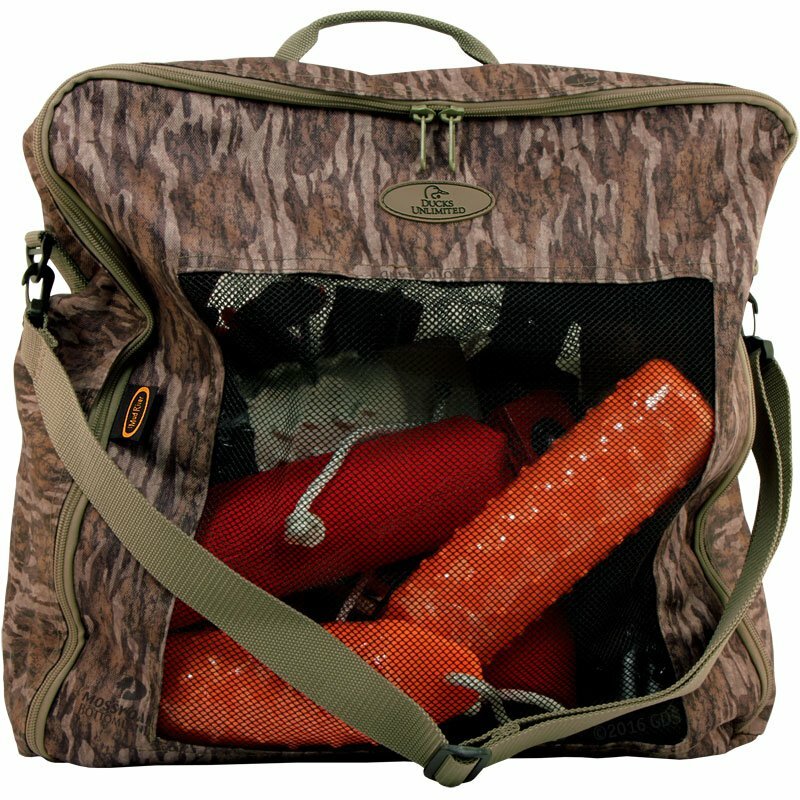 Mesh on both large sides allow wet bumpers and deadfowl trainers to dry completely. Highly recommended! Good quality, but it was bigger than I thought it would be. I am using it as a wader bag rather than using it to hold my dummies. 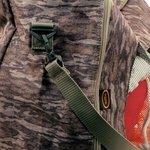 The zippered Mud River Dummy Bag is constructed of durable nylon with mesh sides to allow airflow and help prevent mildew on your wet dummies. Measures 18" x 8" x 18"